- Cleaning Has Never Been This Simple. Nowadays the world is growing fast, for that Yoja Clean app is a new way of seamlessly connect customers for cleaning services. An app makes it easy for everyone to book a cleaning service much faster, open more opportunities for clients and more business for cleaners. Depending on customer needs, Yoja Clean app cleaners are professionally trained to clean homes, Bathrooms, Dish Washing, Cars, Hospital, Laundry, Office, Garden and much more. A client from the USA approached Hyperlink Infosystem to develop an Android app, iOS app, and Website for the people of USA. The client thought they have to be more creative to move away from traditional bookings to instant bookings in cleaning business. After facing the difficulty to find cleaners and get them to arrive on time, he discussed the more possibilities of an app that connects customers and cleaners on a few taps. And with Yoja Clean, there is cleaner at your door in moments. Manage cleaner of the nearby area as per customer's instant booking. Send notification when in the nearby area any cleaner available with distance. We have faced so many challenges to answer the ever-growing demand for cleaners- a growing workload without the need of any redesign and code refactor. The hundreds of enrolled users and cleaners with millions at that time posed the challenge to keep up with the performance without display any error. After getting this challenge, our developers applied the code, focused on using the architecture of API. We did not write complex queries & modified it in a way to get a fast server response. 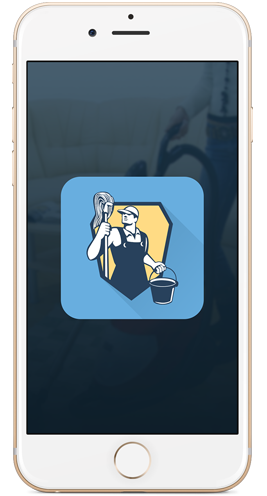 As our client require to launch an app which is also useful for cleaners. If cleaner works for more hours than what was asked before than app will notify server to dynamically extend the time duration. After facing this issue, we have to solve and manage time duration of a particular booking. We compared that time duration and calculate perfect efforts of the cleaner who spent on the same booking to done that job. As per our client needs to update the backend server that sends the new notification to another cleaner again when the one cleaner canceled sent booking request. It was a big development challenge. But our developers did it smoothly by some logic that controls acceptance & rejection of any immediate booking. The client demands single app for customer and cleaner. To manage customers notification and cleaners notification on a single app is little bit difficult. And our developers successfully developed it with some amazing logics. They manage notifications at backend side as well as app side and it helps them a lot to develop app as per the requirement.